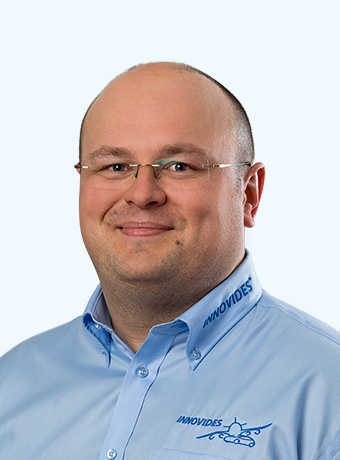 Hannes Thaller is an engineer and founding member of Innovides GmbH. As Chairman of the Management Board he is responsible for corporate management as well as the company’s smooth and efficient operation. As a passionate engineer, he is also a competent partner in the field of engineering services. 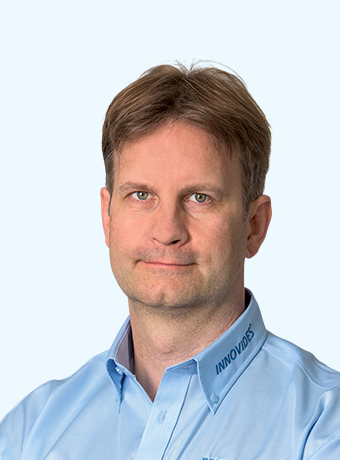 Dietmar Cipoth is an engineer and founding member of Innovides GmbH. In his function as Head of Quality Management he ensures, inter alia, that the processes of the quality management system are performed according to ISO 9001. A substantial portion of his responsibility is to create professional solution strategies for the maintenance and enhancement of customer satisfaction. Sabrina Zott studied Business Administration focusing on personnel psychology and international management. She has further education courses in Human Resources, negotiation and conflict resolution. After several years in a concern, she joined the company in 2016. She is responsible for all matters relating to the personnel service. 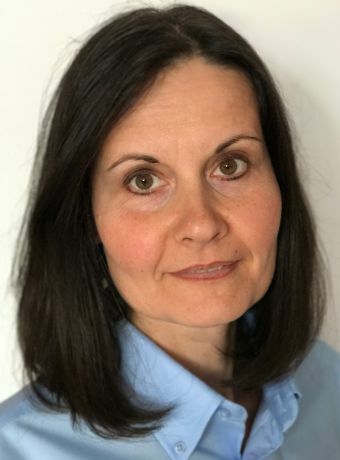 Nadja Cipoth has been providing administrative and organizational support to Human Resources and Sales since 2017. As Associate, she is responsible for all topics relating to processing of personnel, employee support and employee management. Innovides moves to the new, larger office spaces in Frankfurter Ring 129, Munich. The Innovides GmbH wins JS Deutschland and the Bayern Facility Management as new customers. In response to multiple customer requests, another business area was incorporated into Personnel Services – Information Technology. The workforce is growing continuously. It has opened a new office in Munich with a focus on personnel services. (Airbus Group), including all subsidiaries and locations in Germany. Innovides GmbH receives an open-ended permit for commercially hiring-out employees. The number of projects Innovides is involved in continues to rise with the number of customers. In addition to our own employees, we now add freelancers to strengthen the team. Innovides moves to the new, larger office spaces in Riemerling near Munich. The company receives a permit for commercial hiring-out employees (AÜG). Foundation of Innovides GmbH in Höhenkirchen near Munich by the engineers Robert Cheikh Sarraf, Dietmar Cipoth and Hannes Thaller. Among the first customer projects are design and construction assignments for the Audi R15 Sport and the Airbus A400M. Innovides is your competent partner for various design and development tasks and solutions in the sectors of aviation and space as well as automotive. At the same time, we support you in the area of personnel management..
We have contributed to renowned projects, such as the A350 XWB, A400M, NH90, AUDI R18, BMW X1, BMW X3 and the Peugeot RCZ and were thus able to gather in-depth experience. In addition to that, we have a high level of technical know-how, foster creative and analytic thinking and adjust our approach to new requirements fast. We do not only strive to meet the specific expectations of our customers, but intend to exceed them. In order to guarantee impeccable service, we introduced professional quality management principles. To supplement your staff, we broker motivated specialists from our network, fast and without much red tape. We help you prevent bottlenecks, save time otherwise spent on complex personnel research and selection, and help to keep your fixed HR expenditures under control. Further advantages: you can win specialists with unusual know-how for special tasks and profit from our knowledge regarding newest technologies. Cooperating with us gives you the flexibly to select your work place. We can coordinate your projects fully in-house on our premises, or we come to your or your suppliers’ offices. If you decide to carry out your projects at our state-of-the-art workstations, you will save service and maintenance costs as you don’t have to provide your own hard and software. You can also use our facilities and workstations for other tasks, if our team works at our headquarters in Munich. As a reliable and professional partner we intend to offer companies a sustainable increase in value. So we support our customers as a personnel service provider not only to find motivated and qualified employees but also to help as an engineering service provider to find new and creative solutions. Special customer requests and challenging tasks are thereby a special stimulus for us. When implementing projects, we focus on practical use, economic efficiency and the budget at all times because customer satisfaction is our measure of success. As engineers we create tomorrow’s innovations. To meet highest quality standards, we continuously work on our qualification and processes. A certified quality management system, within which all our employees act, constitutes the basis of our approach. Our goal is to permanently improve our services for the benefit of our customers. We live a corporate culture shaped by team spirit and offer our employees as well as our applicants a safe and fulfilling workplace with prospects. We value and promote the individual skills and talents of our employees. At the same time, we focus on long-standing, sustainable and trust-based customer relations. Only on basis of mutual trust we can jointly develop solutions which inspire the world. Innovides is your competent partner for various design and development tasks and solutions in the sectors of aviation and space as well as automotive. At the same time, we support you in the area of personnel management. We have contributed to renowned projects, such as the A350 XWB, A400M, NH90, AUDI R15, BMW X1 and the Peugeot RCZ and were thus able to gather in-depth experience. In addition to that, we have a high level of technical know-how, foster creative and analytic thinking and adjust our approach to new requirements fast. We do not only strive to meet the specific expectations of our customers, but intend to exceed them. In order to guarantee impeccable service, we introduced professional quality management principles according to the ISO 9001 standard. Cooperating with us gives you the flexibly to select your work place. We can coordinate your projects fully in-house on our premises, or we come to your or your suppliers’ offices. If you decide to carry out your projects at our state-of-the-art workstations, you will save service and maintenance costs as you don’t have to provide your own hard and software. You can also use our facilities and workstations for other tasks, if our team works at our headquarters in Riemerling. With our professional engineering services we intend to offer companies a sustainable increase in value. Special customer requests and challenging tasks are a special stimulus for us to find new and creative solutions. When implementing projects we focus on practical use, economic efficiency and the budget at all times. Customer satisfaction is our measure for success. We live a corporate culture shaped by team spirit. We value and promote the individual skills and talents of our employees. At the same time, we focus on long-standing, sustainable and trust-based customer relations. Only on basis of mutual trust can we jointly develop solutions, which inspire the world. The Innovides GmbH wins JS Germany and the Bayern Facility Management as new customers. Innovides GmbH wins Airbus as a new customer. Innovides thus has contracts with the entire EADS group, including all subsidiaries and locations in Germany. Innovides GmbH is re-certified in line with the DIN EN 9001 quality management system. Staff numbers grow continuously. In addition to our own employees, we now add freelancers to strengthen the team. Quality management certification according to DIN EN 9001. Innovides GmbH expands its customer portfolio by renowned companies, such as Premium AEROTEC and EADS. The company receives a permit for commercial hiring-out employees (August).